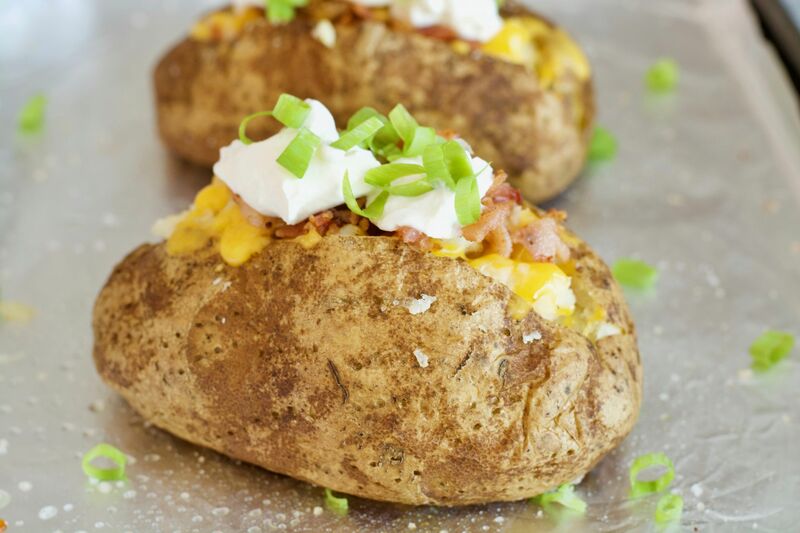 Given that I have several people at home who are complete potato lovers, I have to come up with different ways of making them, that way, they won’t get bored too quickly. I could take them or leave them and to be completely honest, I don’t think potatoes are that amazing. 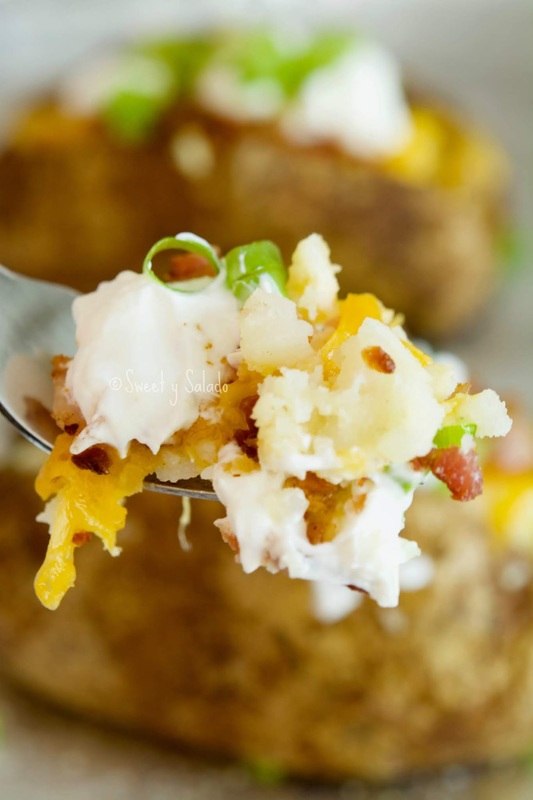 Don’t get me wrong, I do love me a good potato when made right, just like the potatoes in this recipe as well as all of the other potato recipes that I have on the blog. I have several wonderful potato recipes here on the blog so make sure that you look for them to be inspired. They vary from Colombian salted potatoes to a delicious Russian potato salad, which is always a huge hit in the summer. 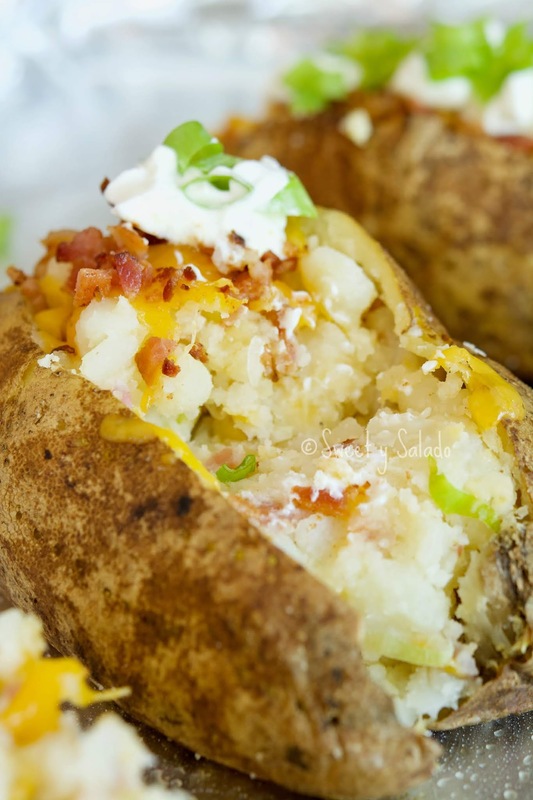 For this stuffed or loaded potato recipe I decided to keep it simple and make it the way most people like it, with lots of bacon and cheddar cheese. 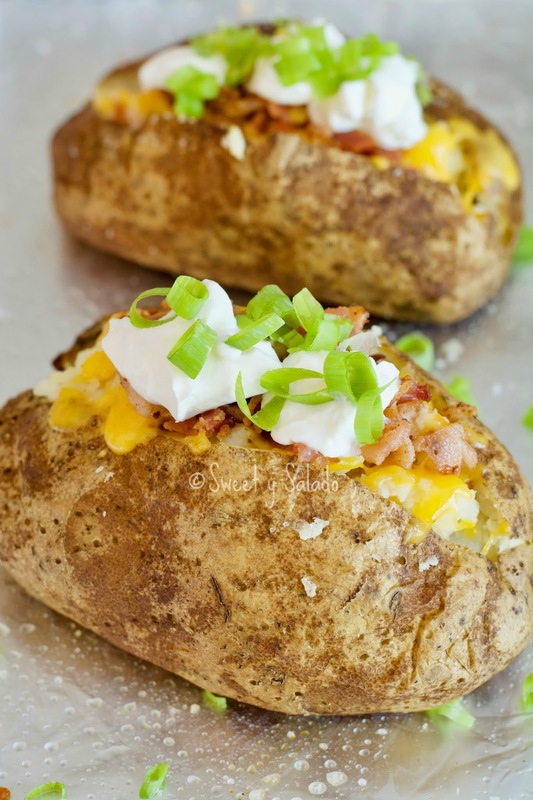 The great thing about these potatoes is that you can make them with all kinds of different ingredients to give it different flavors. You can add chili and jalapeños for a nice kick, use marinara sauce, Italian sausage and mozzarella cheese to give it an Italian flare or even Colombian chorizo, hogao, avocado and cilantro to make it really Colombian. The possibilities are endless. 1 scallion or green onion, sliced. Divide the white part from the green tips. Wash potatoes and then dry them well with a paper towel. Then, pierce them all over with a fork so they cook easier. Cover them completely with the oil and sprinkle with salt. Bake on a baking sheet for about 1 to 1.15 hour or until you can easily pierce them with a knife. Take them out of the oven and let them cool until they're easy to handle, try not to let them cool completely. Once they're cool enough to handle, cut the tops lengthwise with a knife and scoop out the inside of the potatoes with a spoon into a medium bowl. Add the butter, sour cream, white parts of the scallion, most of the bacon (leave about 2 tbsp for serving) and most of the cheese (leave some for serving). Mix well and season with salt and pepper to taste. Spoon the filling back into the potatoes. Sprinkle the remaining cheese and bacon on top and put them back in the oven until the cheese melts, about 5 minutes. Spoon more sour cream on top and sprinkle with the green parts of the scallion for garnish before serving.